Congratulations to the ladies listed below for winning the Fall Bible Study Giveaway! 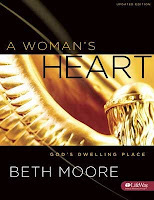 They will be receiving a copy of the study book for Beth Moore's, A Woman's Heart. Ladies, please remember I need an address in order to have a book sent to you. cherdecor at cherdecor --Oops! I first said cherdecor did not have a blog. I was wrong. She does and you can find her right there at that link. go on over and visit her! Sorry! • Find a group near you to enjoy the study in real life. Come to Cherish on Wednesdays and link your post in which you comment about your experiences with your group and in your own individual study of the Word. • Get a book from Lifeway or Amazon and study along with us with just the book. You will miss the blessing of Beth's video messages, but you will definitely get the meat of the study. Link up with us on Wednesday and tell us about your Bible study experiences. • Use the book and study along with us. Download the videos or the audio version of Beth's message. Come to Cherish on Wednesdays and link your post with your discussion of your Bible study experience for the week. I am looking forward to this experience. It is definitely an experiment and a challenge for me. I started the study myself this past week. OH! MY! GOODNESS! It is going to be great! I did the first day's work on the plane coming back from Texas. I'll tell you about that in a post in a few days. Just know I had me some worship time on that plane going over the Mississippi River! I WILL BE STARTING MY POSTS FOR THE BIBLE STUDY ON SEPTEMBER 5. WE WILL START THE LINKING UP PARTICIPANT POSTS ON WEDNESDAY, SEPTEMBER 12. Hope you choose to join us! I hope you will decide to join us. Kelli at There is No Place Like Home, is the host of Friday Show and Tell. You can go over to her place to get the guidelines and get in on the fun! I've missed Show and Tell for the last couple of weeks. I'm back and ready to enjoy it again. This week I'm going to share a simple little box and the story that goes with it. Part of the story is nostalgic, part is just plain silly! I like boxes. Every once in a while I will find one and get it to display in some little nook of my home. Most of them are just boxes, without special meaning or memories. They hold little treasures, or maybe stand empty waiting for something to fill them up. There is one box on this shelf that does have some special memories attached to it. I found the little mailbox at a craft fair in Maggie Valley. North Carolina about six years ago. We were on a trip with our son, dil, and very young grandson, Luke. I think Luke was about 6 months old at the time. We spent the night in Maggie Valley and enjoyed this craft fair in the middle of town. I found this mailbox with the number 428 on it and knew I had to have it! It is a bank and the PO Box door is an orginal one from an old US post office. Our family had PO Box 428 for years in the little Texas town where we moved when my Dad, Charlie, married Rachel. My Dad owned the local weekly newspaper. His office/shop was two doors from the Post Office. I worked in the office after school and in the summer. Many times it was my job to go get the mail. So I saw that number a lot. Our mailbox was larger than this one, but I thought it was a good little memento of my family. The man who was selling these mailboxes told me he could put the number on any box. So, I searched for one that had the combination BIC1/2. I don't mind telling you that combination because that particular Post Office has been replaced and the box with that combination is long gone! Anyway, I settled for FIC. I will tell you in a minute the significance of those letters. I saw this right there on the wall as you start up the stairs. This picture of a mailbox with the number--you guessed it--428--on it. It is difficult to see the number in my photo, but it is there. I told her about my little mailbox. We laughed out loud. Probably none of the other people there knew why we thought that was so funny. She and I saw the humor immediately. When we moved to our little town Carol's "Mama." Rachel, and our "Daddy," Charlie, had just married. Therefore, although we had known Carol and her mother for years, we were a new family. There were three girls in the family--my sister Barbara (17), Carol (10), and me(15). Like I say, we had known each other most of Carol's life, but now we were sisters. We were in for lots of firsts. There were lots of major and important firsts. There was at least one that was pretty minor and unimportant. None of us had ever had a mailbox with a combination. Carol and I came up with the way to remember the combination that I mentioned earlier--BIC1/2. Of course, because we were silly--Barbara Is 1/2 Crazy! Ha! Ha! Carol and I thought we were so funny! Barbara, on the other hand, was not impressed with our humor. As she told our nephew last week when Carol and I were ROFLOL, "They always picked on me!" OK--Why did I settle for FIC for the combination of my little memento mailbox? I could not find Barbara Is 1/2 Crazy, but I could have Family Is Crazy. The story of my quick trip to Texas is going to turn into several posts. Some of you blogging friends are meeting the cast of characters in this story for the first time. Family members, my sweet lurkers, know the characters well! Friday afternoon my sisters, brother-in-law, and I had time to take a little trip down memory lane. At least it was down memory lane for Barbara and me. Carol and Wimpy have heard some of these stories enough throughout their lives that they probably thought they had lived them also. However, I think Carol may have learned some family history that was new to her on this trip. We visited Denton that afternoon. My family lived there when I was very young--early 1950s. We moved from there after my mother died in 1953. My Dad passed away in 1989 and both of them are buried there. Our first stop was the cemetery. I can't tell you the whole story about going to the cemetery. What happens in Denton stays in Denton! I'll just say--We got just a tad lost. We still all love each other--Even if some of us are directionally challenged! You can tell from this picture that it is the old style cemetery--With large headstones and lots of trees. Carol commented that it is like the cemeteries you see in movies. It is a very quiet and peaceful place. This is me (on the left) with my sisters. Can you tell which one is the step sister? I guess we all are, right? You know what I mean! When we were younger people would sometimes guess wrong. There is sort of a resemblance. Anyway--My step sister is the one in the middle--Carol. She is the youngest in the family. The other is Barbara, my older sister. (Our oldest sister, Jeannette, passed away last year). We drove by some of the places that Barbara and I remembered from our early childhood years. We went through downtown. 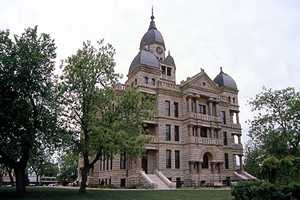 This stately courthouse is in the center of downtown. They don't build such ornate courthouses anymore, do they? Another interesting building that we remember well is on the campus of Texas Women's University. It is the Little Chapel in the Woods. 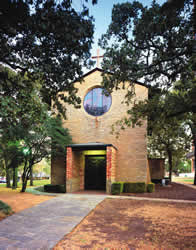 Our older sister was married there in 1953. she was a student at what was then known as Texas State College for Women. Our niece, Paula, was married there just a few years ago. She graduated from TWU. Barbara and I remember coming to the campus with mother often to visit the gardens just outside the chapel. At that time we lived just a block from the campus. Interestingly, Carol's mother, my stepmother, also attended this college. Carol remembered some of the stories that Rachel used to tell about going to school in Denton. We drove past the last place our family lived in Denton. The house is no longer there. A small apartment complex was built on that lot years ago. Most of the other houses on the block are still there. Barbara and I reminisced about our childhood friends. lemonade stands, roller skating, and other childhood pastimes. Barbara could name every child in every family on that street! Amazing! We lived in this house before moving to the last Denton house. It is certainly showing its age now. It was never a mansion, but it was home. My family moved several times when I was very young. This is the first house I remember vividly. I was probably two or three when we moved to it. See the little step to the porch? That's where I broke my arm running to ask Mother for money for the ice cream man! I wish I could have gone to the back of the house. However, it appeared that no one was home and I didn't want to trespass. There is a creek back there where we had many happy times. My mother would make picnic lunches and go with us to the creek bank to enjoy our sandwiches. The house on the right is where I saw TV for the first time! I know you may be thinking, "She said she was going to Texas to see her brother. Where is he?" He was busy with other things on Friday afternoon. 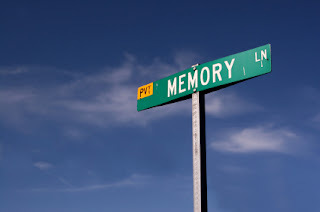 So, we took that time to go on this little memory lane trip. I will share the rest of the Texas trip another day. I'm back from Texas. It was a whirlwind trip. I enjoyed the visit with my brother, his family and with my sisters, and brother-in-law. We had a great laid back weekend--hanging out, visiting, cooking-out, and catching up on family news. It was great! I appreciate so much the expressions of concern and the prayer pledges that so many blogging friends left in my comments last week. Thank you! I had a wonderful visit with my brother. He was upbeat and determined. His family is supportive of him and will take good care of him and his precious wife. I'm sure they would appreciate your continued prayers as they face this uncertain season of their lives. In the course of the weekend I visited a model home that my nephew just finished, my sister's house--decorated in what we decided to call, "unique nostalgic eclectic" style, and some places where family memories were made. I'll share some of that part of my trip during the next few days. 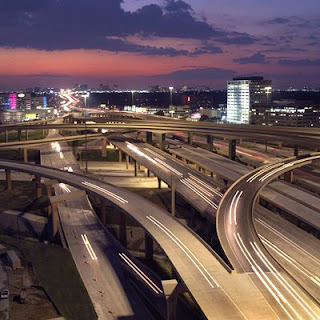 Today I'll share the part of the trip that gave me a few new gray hairs--Dallas roadways! I got this in an email today from a Texas driver. It describes what I experienced perfectly! I was on Beltline (It does go forever with no end! ), Preston Road, and more than one freeway. I was also lost in Denton for a little while (but that's one of those stories best left untold) and I think we were behind a Mercedes at lesast once. Keep reading--you'll understand what I mean! First, you must learn to pronounce the city name. It is DAL-LUS, or DAA-LIS, depending on if you live inside or outside LBJ Freeway. Next, if your Mapsco is more than a few weeks old, throw it out and buy a new one. If in Denton County and your Mapsco is one-day-old , then it is already obsolete. The morning rush hour is from 6 to 10. The evening rush is from 3 to 7. Friday's rush hour starts Thursday morning. If you actually stop at a yellow light, you will be rear-ended, cussed out and possibly shot. When you are the first one on the starting line, count to five when the light turns green before going to avoid crashing with all the drivers running the red light in cross-traffic. Construction on Central Expressway is a way of life and is a permanent form of entertainment. We had sooo much fun with that, we have added George Bush Turnpike and the "High 5" to the mix. If someone actually has his or her turn signal on it is probably a factory defect. All elderly ladies with blue hair in a Mercedes have the right of way, Period. Inwood Road, Plano Road, NW HIghway, East Grand, Garland Road, Marsh Lane, Josey Lane, 15th Street, and Preston Road, all mysteriously change names as you cross intersections. The North Dallas Tollway is our daily version of NASCAR. The minimum acceptable speed on the Dallas North Toll Road is 85 mph. It is possible to be driving WEST in the NORTH-bound lane of EAST NORTHWEST Highway. Don't let this confuse you. 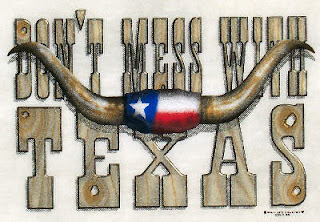 Final Warning: Don't Mess with Texas Drivers...remember, it's legal to be armed in Texas. Morning Glory at Seeds From My Garden is the host of Alphabet Soup. She says, "It's the time of the week for Alphabet Soup. Today's list of pleasantries is brought to you by the Letter F.
that begin with the Letter F."
Go on over to MG's and sign up! 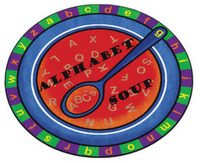 This is my first time to participate in Alphabet soup. I've been wanting to since MG started this fun exercise in letter/word matching a few weeks ago. Today seems like a good day for it. Here are some good things that begin with the letter F! 1. Family--Where would I be without all the people who are in my life because we share the same name or lineage. Love 'em! 2. Faith--the foundation of my life. 3. Frappuccino--I'll have a White Chocolate Mocha, please! 4. Friends--Real life friends are priceless. Blogging friends are a fun blessing. 5. Festivities--I love a party! 6. Flight--I love traveling to new, exciting, peaceful, or familiar places! I'm easy to please when it comes to traveling! 7. Flowers--This was a surprise! I was working on my list of words beginning with F when the door bell rang. The picture below shows what was on the other side of the front door. My precious husband knows I've been having some struggles the last few days. 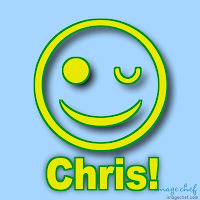 He sent this to cheer me up! It's working! Every time I walk past them I smile and my spirits get a lift! far from the tempest and the storm. toward you Most Holy Place. where does my help come from?! What a week! I haven't been around much lately. We have family concerns going on again. Lee is OK--it's not him this time. However, some other people we love facing health challenges. I'll share their stories if/when they give me permission. 'Cause, you know, when you put it on the Internet, you've shared it with everyone! Anyway, I just haven't had time or emotional energy for much blogging. Now, I'm ready for a little diversion from real life, so I'm ba-a-a-a-ck! Just in time for some quick Saturday updates. First--Thank you for the comments and emails in response to my call for help. Several people responded. Bloggers are great! Leigh Ann, aka Momma Roar, has made me a great button using a picture I already had ready. I was surprised and delighted that she was able to complete it so quickly. Talented girl, that one! Thanks, friend! Now--On to some family fare! Holly found a canopy for their family for soccer games. It will get them out of the sun and keep them a few degrees cooler. They were planning to use it for the first time this afternoon. Of course they got it just in time for the "cool" weather we are having--It's all the way down to 99 and 98 from three digits. Sheesh! Will we ever get back to normal?!! that she can also use in her classroom. I found a new Karen Kin*Joshua and I share the love of reading , so the visit to the book store was great! We explored all the new series books. He showed me the ones he is interested in and we got the last one for a series I had given him for his birthday. Holly found some good books for Joshua and Spoonythat she can also use in her classroom. I discovered a new Karen K*ngsb*ry book. I could have spent the rest of the day in the bookstore! We finished our excursion with lunch at NYPD Deli--Wonderful pizza and Calzones. After we ate ours, we brought more home for Kevin, Poppy, and Spoony! Poppy/Lee loves Greek salad and they had the real thing. He enjoyed it very much! I'd say we had a successful shopping trip. Oh--except for one thing! I forgot to take the camera. That is one blogging habit I have not perfected. I have to work on that! I did take pictures of one thing this week. Well, actually dil, Audre', took the pics at our house. Luke came over after school on Wednesday. I think that is going to be a regular, but not every day, thing since Mom is teaching. He is going to spend about an hour with us on occasional afternoons. His carpool will bring him here to stay until Mom gets here from her school. Both schools are near us and have the same hours, so he won't be here long--Just long enough to eat some ice cream. That is his favorite treat at Grandmama and Poppy's! Audre' took pictures of Luke in his school "uniform." The school system here has started a Standard School Attire policy this year. Students must wear combinations limited to khaki, navy, or black pants, skirts, jumpers, shorts, etc. and white or navy tops with collars. Each school can choose four additional colors for tops. I think the kids look very nice, neat, and cute in their SSA. Luke's school allows white, navy, blue, red, yellow, and green. Some schools have put pink in the mix--Got to take care of the princesses among us! They also have some things they can add like vests, jackets, etc.--But everything has to conform to the colors and other policies. If you have loops you MUST wear a belt and all shirts must be tucked in. No more baggin' saggin' pants, no jeans, no midriffs showing, etc. I think I may actually get this posted before Saturday is over. I'll see you tomorrow with a song and some scripture for Sunday. I need a litle help. I had plans for a linking button--or whatever they are called--for my Fall Bible Study. My plans for getting that made appear to have fallen through. I need one ASAP! So, I need your great advice. • Can you recommend someone who can make a button super fast? • Is there anyone reading who can make a button quickly? I would, of course, be willing to pay extra for speedy service! • Can someone give me terrific directions for putting one together myself? I have some artwork I can use, but I don't really know what to do with it. Just not that techy! Thanks for sharing any advice or suggestions you have. Today is a big day in our family. All of the school age grands start back to school. Three of the adults also begin the school year as teachers. Oh! The excitement! The anticipation! The fun! Joshua is entering fifth grade. In his school that is the last year of elementary school. That makes him in the last grade and oldest group in his school. He is an excellent student. However, I think that, at this stage, a lot of thought and energy at the beginning of school focuses on the social aspects of life. Oh dear, do I see preadolescence behavior sneaking into the picture?! Spoony is a big first grader this year! 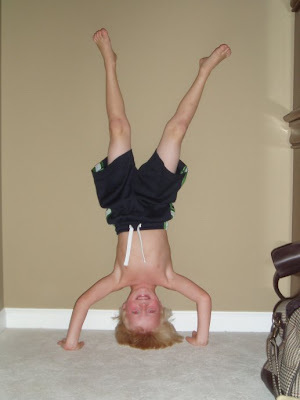 Yesterday, when I talked with him on the phone, his focus was still on the fun he was having in the moment. He had been swimming and that was more important than the promise of school today. He will have a good day today--He enjoys life wherever he is. Luke is very serious about school beginning. He is going to a new school and is excited about that. He already knows several children in the first grade at his new school and is sort of, in a six-year-old way, looking forward to seeing them at school. He is thrilled that he is going to the same school his Daddy went to when he was a little boy. Ella enjoys being with her "fren's" at preschool. She always has a good time--particularly when she can be in charge! She will also enjoy being with her Mom on the days they stay at home! Three of our four adult children are teachers, so they also start a new year today. Our older son, Greg, is an English teacher and basketball coach at an academic magnet high school. Greg's wife, Audre', is resuming her teaching career part-time after being home since Ella was born. She will be teaching reading on a job-share basis at a nearby elementary school. This is a new venture for her because she has always taught middle school. It was a terrific and unexpected job offer that was exactly what she needed at this time. (God always has a plan, you know). Holly, our other dil, is teaching fourth grade this year. She has the convenience and joy of teaching in the same school the boys attend. Kevin, our younger son, is not a teacher. He works as a CPA and does a lot of volunteer coaching. When the family is together Lee and Kevin have almost learned to tolerate the rest of us when we get started on "school talk." So, there you have it.! They are all off on new adventures today. 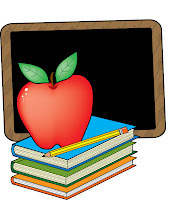 We pray the Lord's blessing and guidance for them and all the other children and teachers starting a new school year. and tear your shackles away. and in your name will I lift up my hands. Finally! Today's the day! I told ya'll a few days ago here that it was slow blogging time for me. Things are better now! Thank you, Lord! So, it's time for me to start catching up on some blogging fun! I have several bloggy things that have been waiting on me to feel like having some fun. It will take several posts for me to take care of all of them. I will take them in no particular order. Today we will have a little name fun! Susan, Leigh Ann, or Pen of Jen . I'm sure there are others out there. If I have included someone who has already done this little activity, you are definitely excused from passing it on. After all, how many times can you write names in some different way! :-) For you others, the choice is also yours--pass it on, or not. Oh, and you can include as many, or as few, names as you want. anyone else who would like to join in--Have at it! Please let me know if you do so I can be sure to view your contribution to the game. Have fun! Directions: My challenge to my blog friends is this: write 8 of your blog friends names in a unique way and post them. Then come back over and let me know. You must write the blogger's name that tagged you, then add 7 others. Be creative and if possible use the natural wonders of the world! I cheated just a little there--However, I think my computer and the internet are wonders of the world. Natural? ?--Maybe not so much! 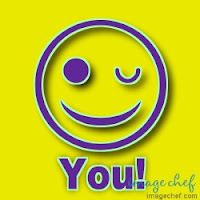 All of these people make me smile, so I'm sending a smile and a wink (A smile and wink are natural wonders--use your imagination). Have a great day! Chris is the Frazzled Farm Wife. I love keeping up with life on the farm--harvesting, barn raisin's, etc. She also has a great family that is always busy! Holly is Soccer Mom and one of the most precious women I know irl. 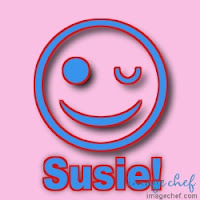 She is the wife of younger son, who is sometimes known as Keke, and the mother of Joshua and Spoony! She is a new blogger, who is using her blog to chronicle her very busy family's life. I really don't know how she does all she does! series about her forty-year marriage to the love of her life, Bill. She also shares lots of pictures. I sometimes feel like I'm sitting right there with her, catching up on what's going on in life. Midlife Mom, "Minnie", lives at Home on the Range. She is grandmother to two sweet children. I love her stories about Maine, which I think is one of the most beautiful places on earth. I also enjoy hearing about Buddy and MM's other horses. a very interesting place to visit! Linda is found at Middle Years. Linda always seems to know just what I need to hear. She writes often inspirational posts, but also tells interesting family and personal stories. Like so many blogging friends, Linda is one of those people I'm sure I would enjoy knowing irl. On top of everything else she lives in Texas--I do love the home country! Dawn, Just Call Me Grandma Dawn is a relatively new blogging friend! She is, obviously, another grandmother who loves those precious little ones. She also has a connection to the education field, which was where I used to hang out. I'm enjoying getting to know her. Here's a smile for you! I could stay here sending out smiles for a long time. However, my husband thinks he might like to eat today, and I think I might join him. So, I guess I better go take care of that little detail of life. Hope all of you are having a great weekend! You can go over to her place to get all the up-dated guidelines and get in on the fun! This week I am sharing one of my most treasured possessions. It was a gift from my family. Last year I retired from a career of thirty plus years as an educator. I declined having a reception in my honor at school because my husband's illness would not allow him to attend. My family wanted to have a celebration, so they planned a party at our house. It was a wonderful afternoon and the perfect blend of people from several different schools where I had worked over the past thirty years. At the party, my family presented these these framed messages to me. Every one in the family had a part in putting this treasure together. It currently hangs in our bedroom. Every time I look at it I am reminded of the love we share. Not being a tech expert :-) I have not been able to figure out how to enable you to see the details clearly. So I'm going to show you the way it is displayed in our home and the people who gave it to me. Each grandchild had a part in making this wonderful gift. On the left side you see contributions from brothers Spoony and Joshua. On the right you find the work of the brother-sister team, Luke and Ella. Spoony, five and beginning kindergarten at the time, drew a picture of me and wrote, "I love Grandmama." So they won't be down low. Ella, gave me a beautiful two-year-old hand print and decorated it with vibrant stickers. A princess has to have some pink hearts, you know! My husband wrote a prayer that I will cherish for the rest of my life. Lee has mentioned several times that I should "Show and Tell" this treasure. I was a little reluctant to, because this prayer is so full of emotion. There is no way that I live up to his remarks--I'm actually somewhat embarrassed to share it. It came from his heart and he specifically requested that I share it this week. Since I always do what my husband asks--ahem--I have shared this treasure. "Thank you again, Father, for gracing our family with such a wonderful wife, mother, and grandmother. She has been a model of Your grace in all areas of our lives. We love her more than our words can express. Please reward her with a crown of righteousness for being the fruit of the Spirit before us. Sometimes There is Power In Numbers? Sometimes, life, or at least an event in life, doesn't turn out exactly the way you think it might. Maybe that's a good thing , maybe it's a disappointment! Watch this little video to see what I mean! Then tell us in your comment what you learned. Be sure to tell us whose perspective you are taking. I haven't left the country and I'm not really on a blogging break. I have been able to find a few minutes to read and comment a little, but I just haven't had time/energy for the writing for a few days. I have a lot to catch up with in a couple of days. Some wonderful people have blessed me with some awards. I feel honored and I will pass them along as soon as I get back to the writing which I promise will be soon! You know, sometimes real life just demands some attention. Some of you are aware that Lee, my husband, has a disabling condition. He is doing OK. However, we have seen better days. We had what I call an "up and down night," on Monday night. When we are in that mode I feel a bit sleep deprived. Those are the days I don't get much blogging, or anything else, done. Today we are expecting special company. So--again not much time for blogging. Real life has to take precedence. Just thought I'd let you know--When you don't see me for a few days it is usually because we are going through an "up and down time." Please pray that we will both feel God's presence during these days and nights. I'll see you soon! that he gave his one and only Son. that send out its roots by the stream. She explains it this way:"Welcome to Show and Tell Friday! Do you have a something special to share with us? It could be a trinket from grade school, a piece of jewelry, an antique find. Your show and tell can be old or new. Use your imagination and dig through those old boxes in your closet if you have to! Feel free to share pictures and if there's a story behind your special something, that's even better!" This week I'm going to share another little collection that I treasure. I shared my small doll collection in an earlier Show and Tell. I have a couple of other collections on the same set of shelves with the dolls. Today I'm going to show you what I call my "reading figurines." some I have found myself and added to the group. in their spot on the shelves in my back hallway. (Click on the pictures in this post for an enlarged view). other one, of a teacher holding a report card, was given to me by friends of my older son when they stayed in our home on a visit to Nashville. I include it in this collection because I certainly assigned plenty of reading grades in my time as a teacher! This beautiful piece was given to me by my husband several years ago. He said it reminded him of me. I guess he has seen me read more than one book! These were gifts from teachers. The willow tree angel on the left was a gift from the Reading Specialist at my last school, where I was principal. The other was from some teachers at the school where I had my first administrative assignment. Both are precious to me. This Lladro figurine was given to me by the mother of one of my students about twenty years ago. I have always loved it. It reminds me of the importance of sharing books with children when they are very young. This little boy is one of the last added to the group. After I realized several years ago that I had a little collection going I began looking for figurines of boys reading. 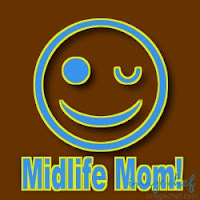 After all,I'm the mother of two boys and grandmother of three! All my figurines were girls. That wouldn't do at all! So, when I see one that I can afford, I add it to the collection. This little sweetheart was another gift form Lee. He surprised me with her last Christmas. 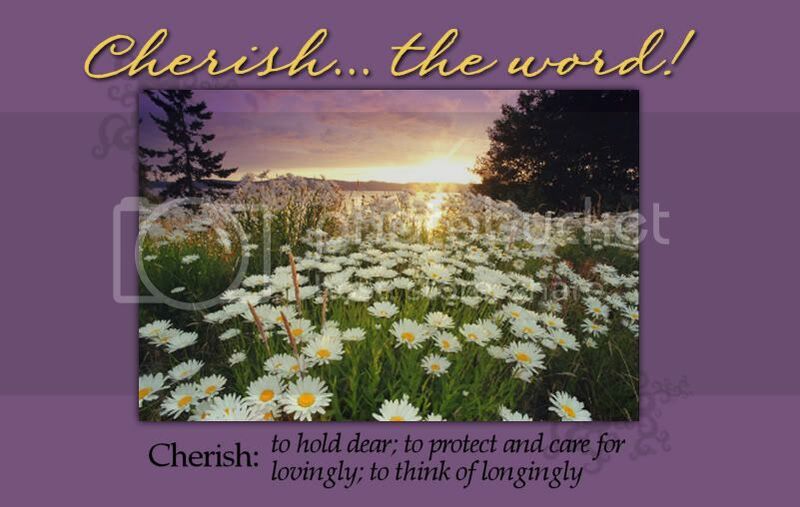 If you have read Cherish...the word! for very long you know about our sweet granddaughter, Ella. Poppy was reminded of her when he saw this little girl enjoying a book. years ago they entrusted him to me. He reminds us that reading starts before children recognize letters, sounds or words. Look at him there, enjoying stacking the blocks. Later he will realize that the letters on his blocks have meaning. He will be a reader. Lucky is the child whose parents start the reading process EARLY. There are actually a few more figurines in the collection. They are too large for the shelf and are still packed away from the trip from my office to our house when I retired last year. Someday I will find a place for them here at home and they will come out of retirement. Thank you for stopping by to see my treasures. There are plenty more great things to see at other places. Be sure to go to Kelli's to get the links. Don't you just love friends! I do. In the last two weeks I have been blessed by several of them. A theme in my life right now seems to be "lunch with friends." Most of you know that my husband and I live a pretty quiet life at home. When I leave home I always have someone stay with Lee. His illness is serious enough that someone must always be with him. Therefore, anytime I enjoy some social time there is planning involved. I have several dear friends who do not mind the planning. They even understand if we have to cancel and reschedule several times before we actually do whatever we plan. So the last few days have been special to me, because I know these sweet women have to work around my needs anytime we get together. TH and A--Last week, on Monday my precious friend TH and her five year old daughter A came for lunch. They stopped at Panera and brought lunch to Mr L and me. TH and I have been friends for about ten years. We worked at two schools together; she was the librarian, I was the assistant principal at one school, principal at the other. We have been through some serious life changes and experiences together. I'll have to tell that whole story at another time. I always love having them in my home. A is a precious child who always brightens my day. She seems to have an understanding of life beyond her years and is very comfortable with adults. This year she starts the adventure of school. I expect a phone call or email on day one. A's former kindergarten/librarian mother will have to put into practice all the things she has told parents in the past about getting through the first days! Thirty Year Friend--Last Thursday I met S for lunch at a restaurant near downtown--in the big city. We have been having trouble connecting for months. Sometimes she comes to our home and sometimes we meet somewhere else. She lives way on the other side of the big city. For the last several months every time we planned something, I had to change plans. She patiently waited. Finally we were able to make plans, and keep them, on a day when I had someone available to stay with Lee. The date was perfect--It was July 26. Both our birthdays fall on the 26th--exactly six months apart--neither one of them in July. I will admit, she is the younger one, by several years. We celebrated both our birthdays on July 26! S and I have been friends for 30 years! It is so hard to believe it has been that long. We were mere babies when we met as teachers. :-) We taught at the same school for six years. In fact, the man who is now her precious husband also taught there. We have stories--some that will never be told! S and I have the kind of friendship that survives time and separation. There have been times when we didn't see each other for a couple of years. But we can start the conversation right where we left off, without a hitch. She has been so faithful to our friendship during this season of illness for L. I know that if I called her right this minute and said, "I need you.," she would be here ASAP! Two Special Friends--This Tuesday two friends, G and J, brought lunch on Tuesday. They brought brisket and other fixin's from Fam*ous Dave's. Mr. L does love him some brisket! These two friends live close and I see them more often than some others. However, it is still a planning fest when we get together. G and I have been friends for about 16 years. We met, you guessed it, at a school where we taught together! We have been through school changes, worked on committees, written grants, and in general shared professional experiences together. More importantly, we have shared life. We have listened and commiserated through children surviving teenage years. We have stood by each other through surgeries and illnesses, both personal and family members. Her sweet mother passed away during this time. We have celebrated becoming grandmothers. We are always just a phone call away. J and I have been friends for over twenty years. We have taught at two school together, but surprisingly, that's not how we first met. We met because our husbands, Mr. L and R, worked at the same place. We have been friends as couples for that whole time. Finally, after all these years, we belong to the same church. Of course, L and I are never there right now, but they recently joined. I'm glad they are there. J and I taught at the same school and car pooled for several years. then we both had opportunity to move closer to home and, once again, ended up at the same school. Actually, children in both school where we taught sometimes thought we were sisters. There is a resemblance. We have shared the growing up years of our children, celebrating marriages, and the birth of grandchildren. As couples we have eaten numerous meals together. We have shared countless hours watching movies and playing games, two pastimes we all enjoy. L and R have both retired from their former jobs. R has recently started working in another capacity and travels between home and a nearby state. They will eventually make their home in the other state. I don't like looking forward to the time both of them are gone. During this time when J is by herself a lot, she knows she is welcome here anytime. I know she is just a phone call away from me. Friends--they are so special! I thank the Lord for these, and others, who are dear friends. I also have to say--I love the lunches!